I have met Amelia Handegan on several occasions and like her work, she is understated, accomplished and full of surprises. She is probably best known for her sensitive work on historic properties, where, with “one foot in the past and one foot in the future,” she intuitively melds old and new. These are not staid houses filled with period furniture, but homes that are layered with a fresh touch and sophisticated color palettes. 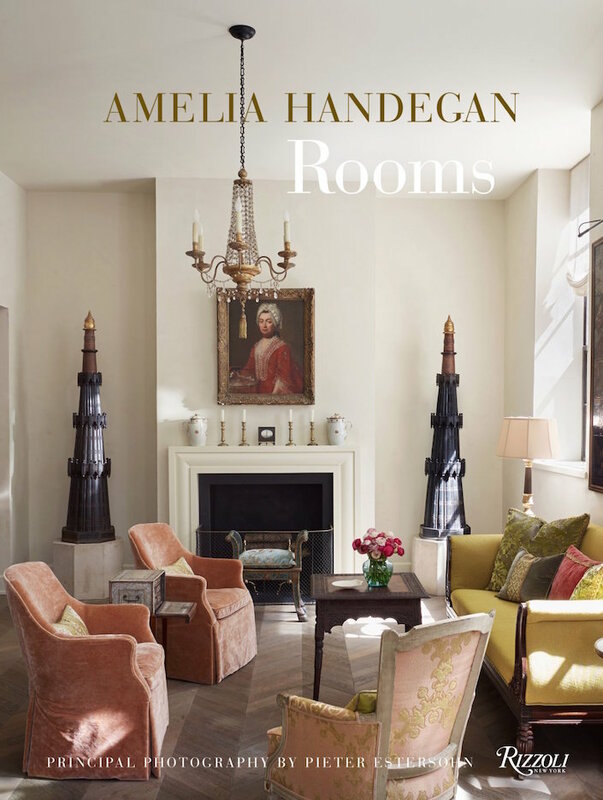 In her new book, Amelia Handegan Rooms, thirteen homes are featured, from classic historic houses, to weekend retreats to Amelia’s own apartment in a 1920s neoclassical revival building in Charleston. No matter the environment, Amelia finds ways to both enhance the setting and break the rules. 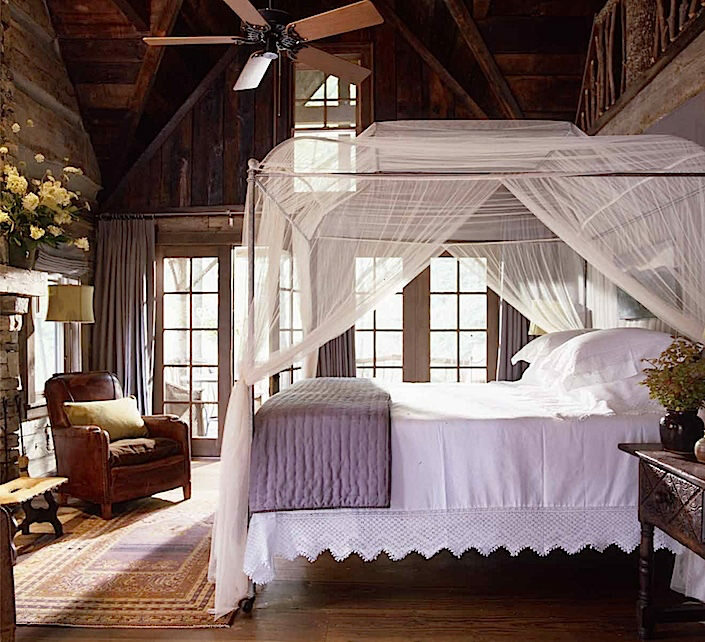 In a rustic Blue Ridge mountains cabin, the bedroom becomes a romantic retreat with frothy mosquito netting, lace trimmed coverlet and and feminine touch of lavender playing off the rough dark timbers. 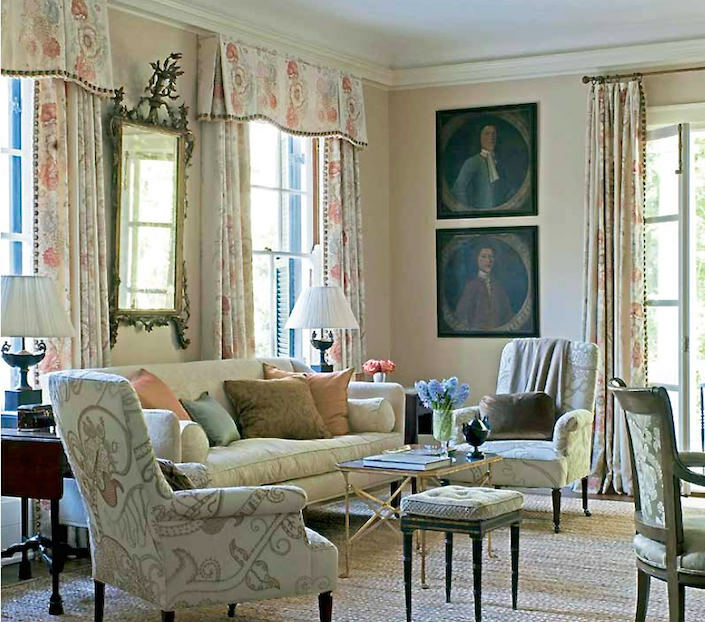 While there is clearly a southern sensibility to most of Handegan’s projects, there is also obvious influence from the designer’s extensive travels. Nowhere is this more evident than in the designer’s own beach house outside of Charleston. I have been lucky enough to visit and can attest to the marvelous mix of fabrics, accessories and collected items that make for a personal and lively home. 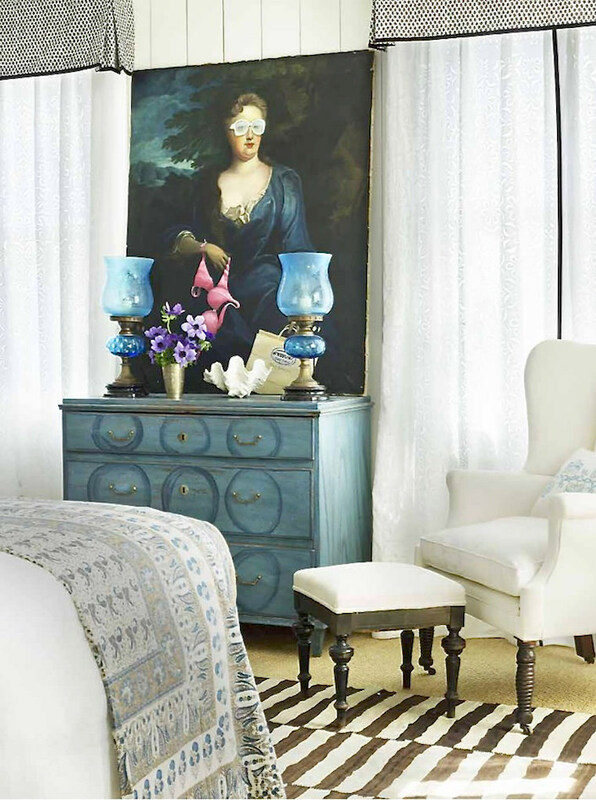 Above, in a guest bedroom, an 18th century French portrait (augmented with bathing suit and Chanel glasses that Handegan commissioned from local artist Robert Shelton) hangs over an antique blue Swedish chest. In a renovated 1890 Sullivan Island home, Handegan’s generous use of color set the tone. 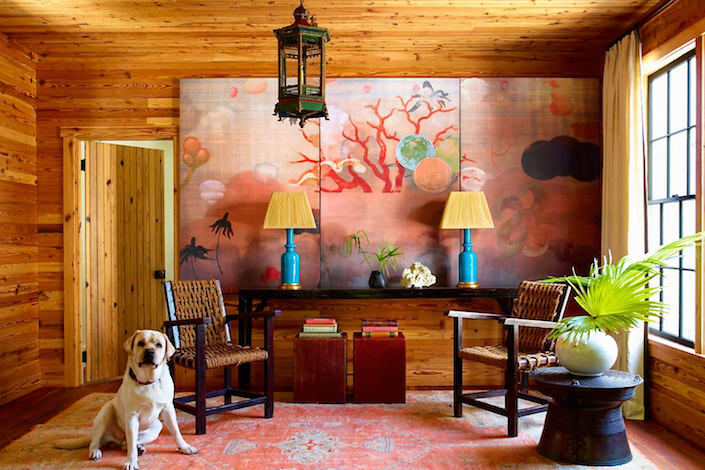 As she explains, “Fine art often provides the spark to ignite a palette.” In the entry a fantasy-like triptych by Timothy McDowell inspired her use of bold orange throughout the house. For a long time client’s NYC pied-a-terre, Handegan’s color expertise took a dramatic turn. Gold tea-leaf walls by Gracie, floor to ceiling canopy and rich colors and textures lend an exotic Venetian vibe to the room. 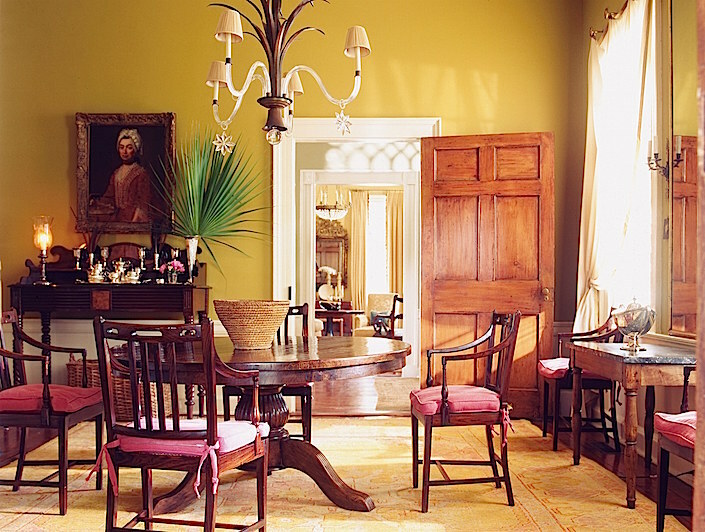 Whether working with subtle colors in a historic Charleston home or a more playful palette, color is all important to Handegan. “One thing I know for sure: Color, or the absence of color, is of primary importance.” That combined with her thoughtful, eclectic mix of furnishings, as seen in her own apartment on the cover, result in rooms that are gracious, comfortable and expressions of the people who inhabit those spaces. This entry posted in architecture, books, interior design. Entry Tags: Amelia Handegan, Design Books, interior design Bookmark the permalink. Love this Stacey. As you know, I also work on historic houses. Some of her quotes really hit home, and am very interested by the “colour which doesn’t match”. Very inspiring. Thank you Stacey. Gorgeous ,gutsy combo of color ever ! Thank you,Stacey,for introducing me to such an inspiring designer. Looks like a must-have book! Amelia Handegan has always had a terrific sense of style, color and appropriateness, and I’ve learned a lot from her work. As a Southerner, I have great appreciation for the way she has both retained and updated the essence of a deeply-rooted decorating tradition…”one foot in the past and one in the future”. I love her style – ordering the book now! Thank you for this ….. I am flattered! It is an honor to be included on the Quintessence blog! I am blown away by Amelia Handegan! 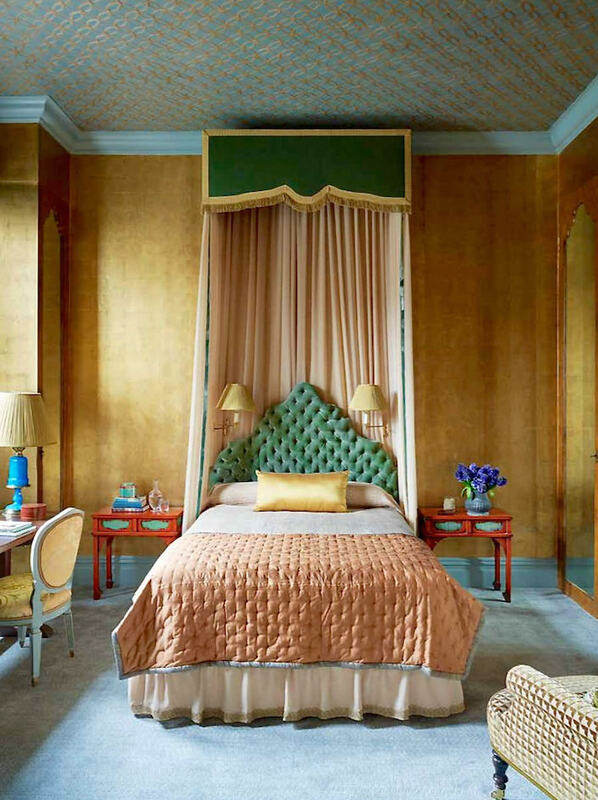 Especially love the tea leaf bedroom..stunning! I want to sleep in it. Wonderful! So stylish! Great photos! 81 queries in 0.438 seconds.